Robert Fraser used the designs of older C-4s to create this class boat. A C-4 class boat for Canada cannot be more than 20' long (6.1 meters), must have a minimum beam of 2'6" (76 cm), and weigh at least 68.34 pounds (31kg). 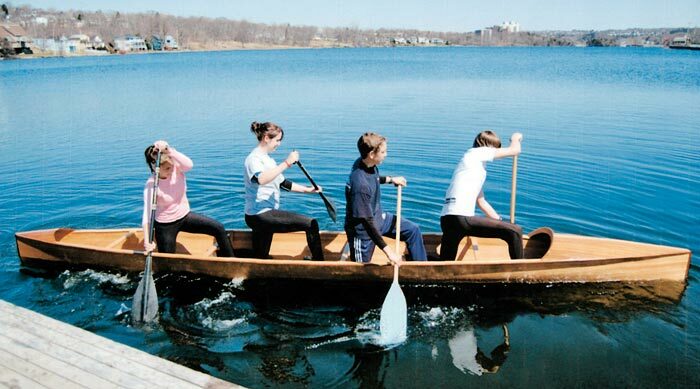 The Senobe Aquatic Club bought the boat and now uses it on Lake Banook in Dartmouth, NS. 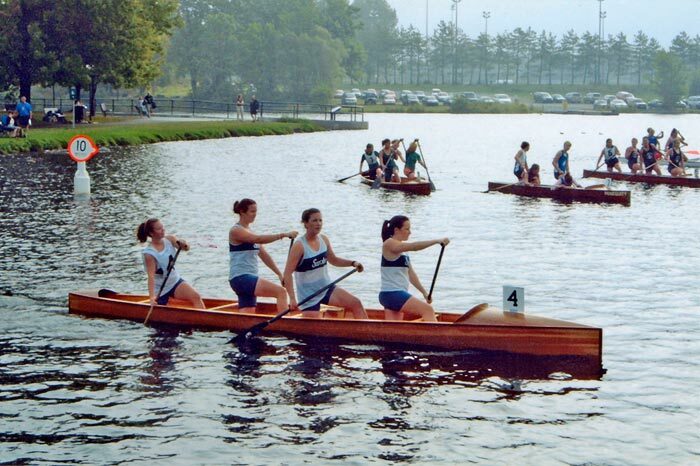 They won 3 gold and 1 silver medal at the 2007 Canadian Sprint Canoe/Kayak Championships in Ottawa. Robert used a spruce keel plank, cedar strip planking, teak decks, and jatoba rails, stem, and transom.